The Houbigant Quelques Fleurs Jardin Secret Extrait de Parfum Spray exudes refinement with its endearing floral-woody fragrance. This inviting fragrance is for a woman who is mesmerising and intriguing, her effortless sophistication and alluring free spirit captivate and inspire everyone in her presence, and she wouldn’t have it any other way. 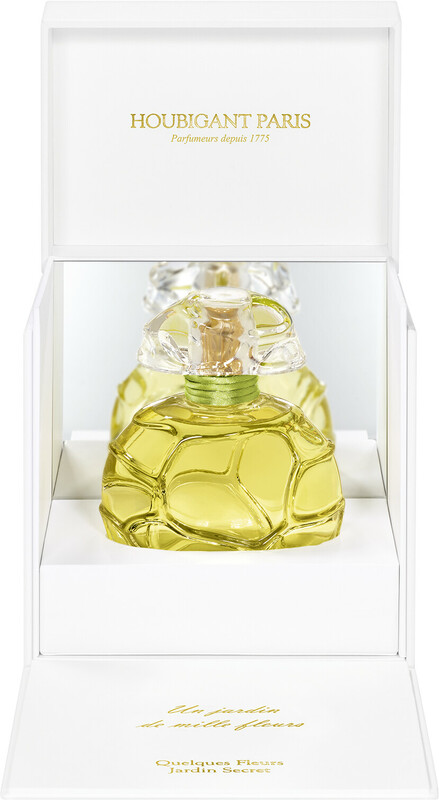 The uplifting presence of the Houbigant Quelques Fleurs Jardin Secret Extrait de Parfum Spray complements her enchanting aura with its intense and unique aroma. The floral-woody fragrance is filled with light and movement. As the scent opens, a burst of citrus rushes through, drenching the elegant floral core in solar beauty. As the fragrance warms, earthy facets of patchouli rise up from base, evoking thoughts of an in-bloom garden at sunset.